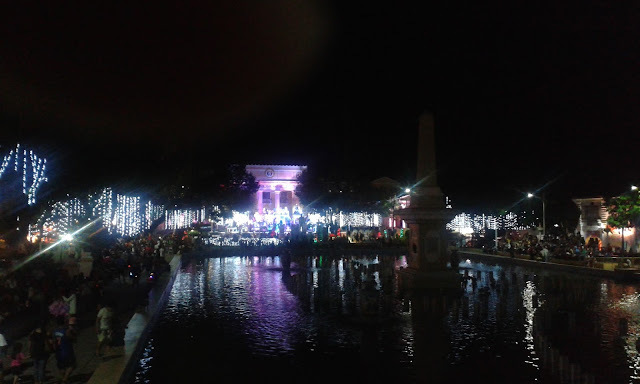 The last post about the Corregidor Tour had a lot of photos and so did the Ilocos trip the next day. 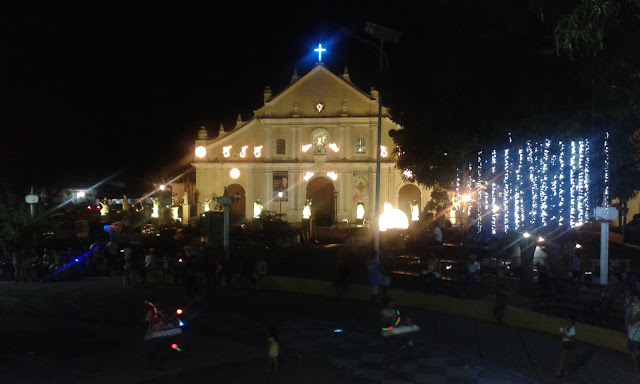 So this time around, we will go by each site that we visited instead of posting all of the Ilocos trip in just one post. 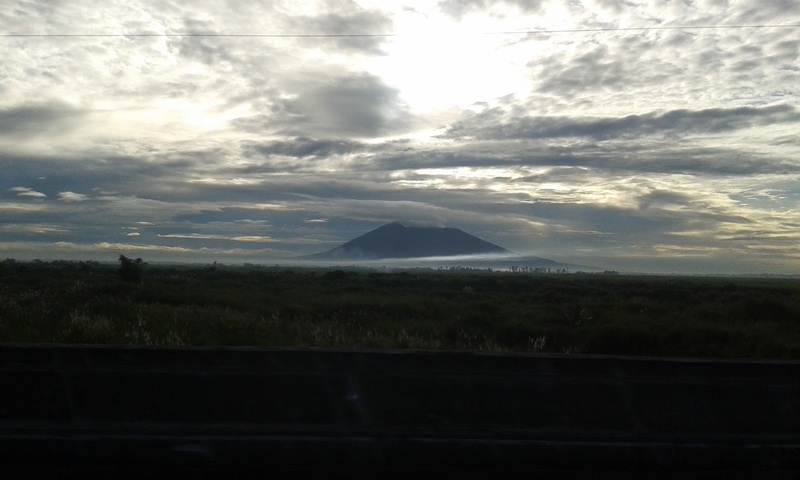 This view of a mountain wrapped in some clouds was one of the sites we enjoyed as we rode thru La Union. As usual, our trip starts early in the morning. Since the ride through La Union didn't offer much food options, our friends contented themselves with the fruit stands that they saw along the way as we tried to spot some places for lunch. Our lunch was late because there was a long stretch of road where there were no gas stations or restaurants or fast food options. So the next time we drive thru La Union, we will definitely pack some munchies. 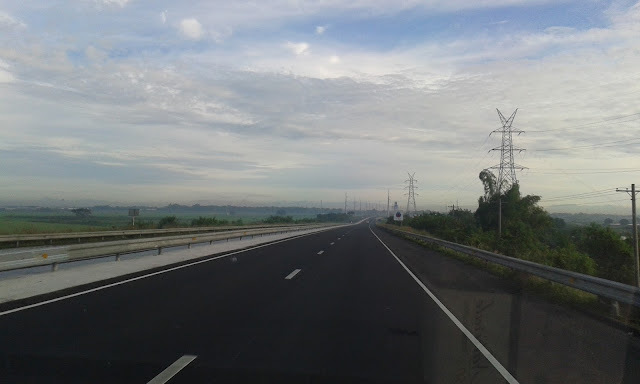 The start of our road trip seemed lonely but the provincial sceneries were a welcome view. 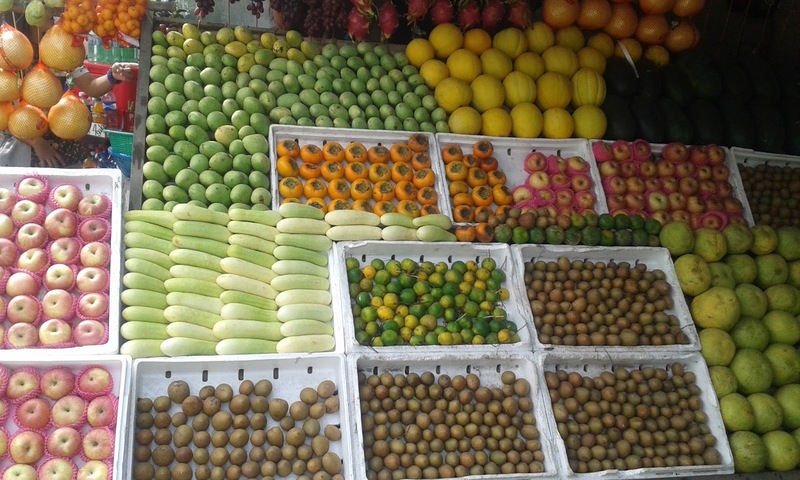 Fruit stands staved off our hunger and energized us through the long trip. After a few disappointing attempts, we finally found a nice restaurant tucked away in a corner of the high way -- Villa d' El-lita. The name is hard to pronounce or remember but the long drive here was worth it. 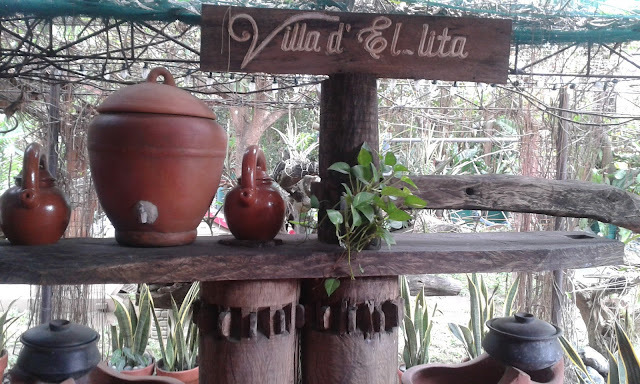 Our late lunch was at the Villa d' El lita Restaurant. We didn't have much pictures of the food because we were too hungry to wait for the pictures to be taken. We did enjoy all the food though. They offered traditional dishes from La Union which our friends were eager to taste. Thankfully, their dishes did not disappoint. I specially loved the fruit smoothies that were made from fresh fruits on hand. While waiting for our lunch, we took the time to explore the rest of the restaurant. It provides the perfect venue for pre-nuptials or a wedding and other group events. 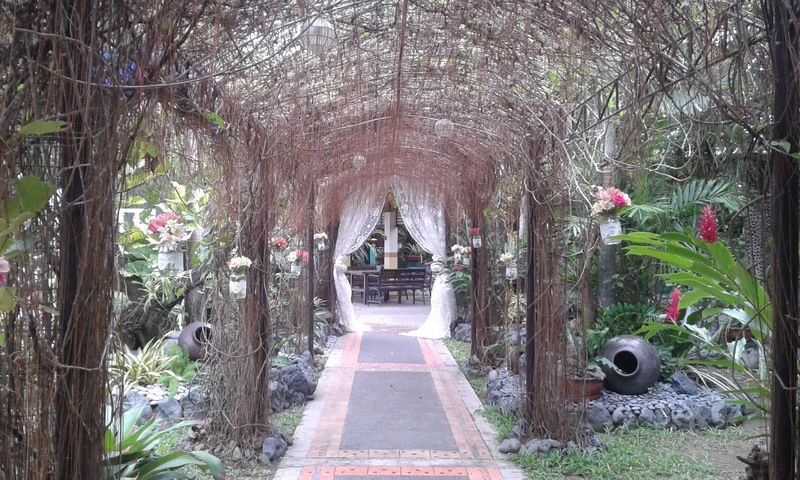 One can imagine the bride walking thru here. 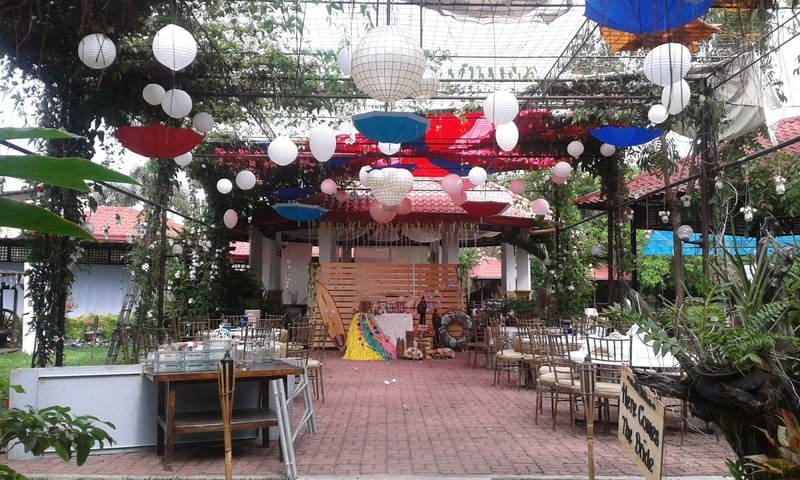 This could be where the wedding ceremony is held. The whole restaurant was actually in the middle of a garden and all the tables and chairs were made from wood and woven materials. The al fresca setting definitely provided us the chance to relax and revitalize ourselves in the refreshing view. When we were done with lunch, we geared up for a few more hours of travel to our destination. 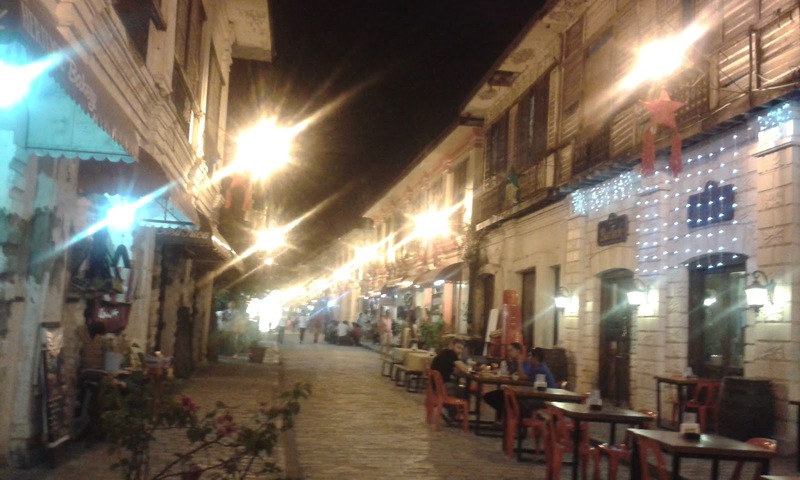 We reached Vigan at night, dropped our luggages at the hotel and then walked the famous Calle Crisologo. We all explored the souvenir shops and bought some items to take home. 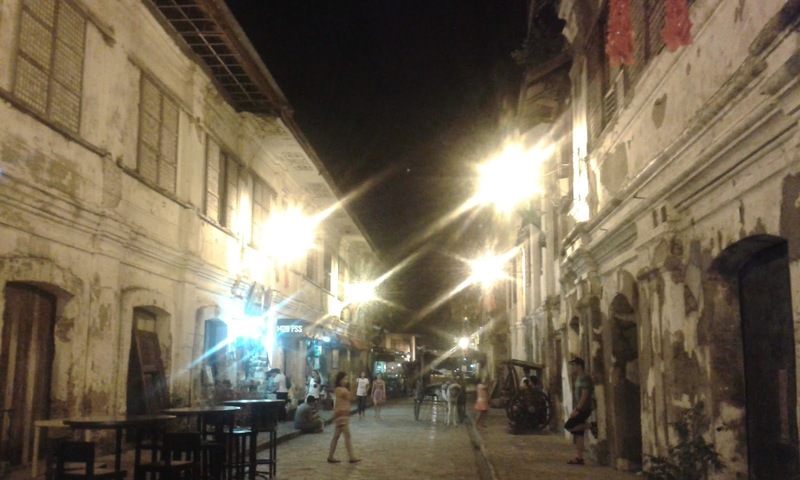 Old Spanish architecture and the cobble stone streets of Calle Crisologo. Restaurants bring out the tables and chairs at night for an al fresca dining experience. I apologize for the blurry Calle Crisologo pictures but I guess I was too tired from the whole trip to keep a steady hand. Calle Crisologo was just a short stretch of cobblestone street so going from shop to shop didn't take much time. Since it was the holidays when we visited, there were bright lights everywhere. We walked to the plaza where a laser light show was held each night. Our guests then treated us to a pizza dinner where we chatted the night away. St. Paul's Cathedral on one side of the plaza. The venue for the laser light show in the middle of the plaza. Our friends also wanted to taste the empanada but the vendors had closed early so we just enjoyed the view. We called it a full night after our dinner and we trooped back to the hotel to get ready for our trip to Laoag and Pagudpud the next day.